A British made valve by Farenti, a Division of Brimar.British Military "CV124" = 807. We supply in factory matched pairs.You will find this tube to be the best sounding and most reliable you have ever used!! Please note that we will provide matched pairs or quads of all matching construction tubes. Some may be shipped with a black base. "Hello Ken, Thank you for sending the tubes. They are just what I was looking for. 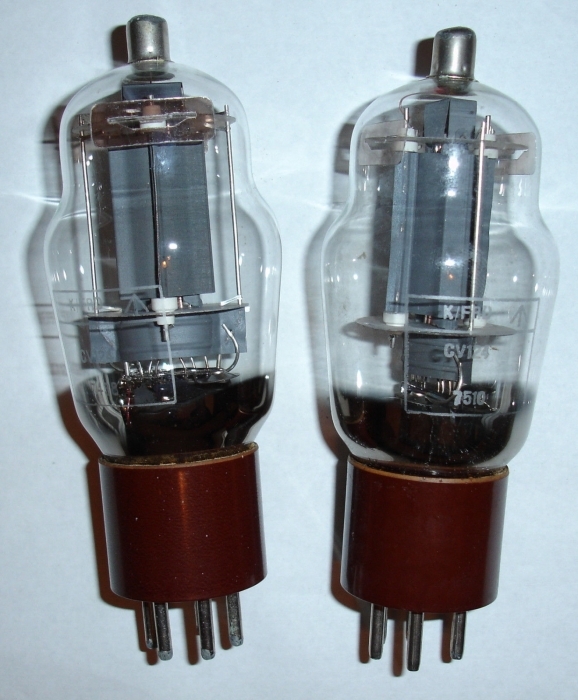 They are beautiful, well made tubes and are similar to the Westinghouse grey plate that I was looking for, but could not find two. However, these Farenti CV124s are better sounding right out of the box, especially in the lower audio range, where they are fuller, with more impact. Great for audio! I may get a back up set, if they are still available. Best Regards, William R."